Imogen's Typewriter. : Book Review: The Silvered Heart by Katherine Clements! 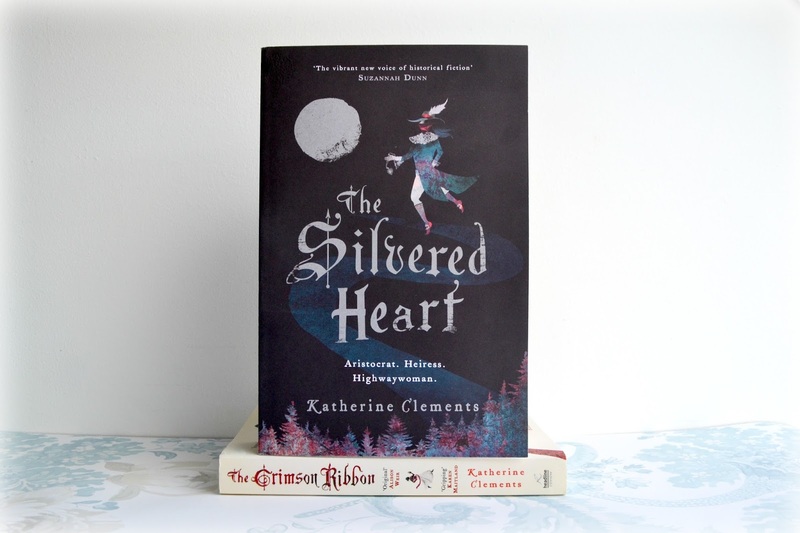 Book Review: The Silvered Heart by Katherine Clements! Today is publication day for The Silvered Heart and I have a review for you! You may remember that just over half a year ago, I reviewed The Crimson Ribbon by Katherine Clements and I've been impatiently waiting for a new book basically since that review went live. Of course, when I heard about her new book, The Silvered Heart*, I couldn't wait to get my hands on it and was luckily sent a copy for review. I'm going to start by saying that my history knowledge is murky at best. School didn't teach me history in order so it took me way too long to realise this started just two years after The Crimson Ribbon did, although continues on much longer- from 1648 to 1660. The contrast between the two books and the experiences of the two protagonists is incredible and I'd recommend both books for a interesting juxtaposition of the time. This book definitely didn't grip me immediately the way The Crimson Ribbon did, it took longer to get it's claws in but once they were in- they were in. Katherine Clements writing is the kind of writing that gets under your skin, the first person narrative meant the feelings of the character became my own to the point of being furious, hurt, jealous and devastated to a really unnerving degree. If you've read my blog for a while, you know I love a good female character. And Katherine Clements has created just that in Katherine Ferrars. She's an aristocrat, she wants to stay that way and the Civil war is preventing that. She wants her home, an understandable urge, but she is married to a man who is a bit of a loser. She has to step up beyond what she thought possible to keep the family and his house afloat- becoming the highwaywoman, a criminal, and finding allies in the most unusual places. This book shows a side of the Civil War that I've never really thought about before and makes a character that isn't hugely relatable- an heiress who believes her family name gives her a right to wealth- relatable. 440 pages of fantastic twists and turns, emotional writing, and an ending that'll stick with you for long after you close the book. The twelve year span gives such a length to this story, that you can see how this was not a quick problem/solution but a struggle that lasted over a decade. "In a war where both sides claim to fight for God, it is no longer a matter of right or wrong- it's a question of which side is most determined." The Silvered Heart came out today and you can buy a copy here! Do you think you'll pick up a copy? *I was sent this book for review. It hasn't changed my opinion. Amazon links are affiliate links.